Our Mosquito Free Program will eliminate Asian Tiger mosquito populations all summer long at your NJ or PA Home. Enjoy the outdoors and take back your backyard from mosquitoes this summer! Call Cooper Pest Solutions and a representative can give you a FREE no-obligation quote for a fixed price all season without coming to your residence (in most cases). A technician will come to your residence for mosquito treatment every 3 weeks beginning in May and ending in September. During the service, we will treat the vegetation around the perimeter of your yard, the landscape around your property as well as around and beneath decks and other outdoor shaded Our treatments also consist of using a larvacidal where needed and a thorough inspection of your property. In the event that you are bit by mosquitoes between treatments, simply contact us and we will make an additional treatment within one business day. The three-week interval will also be adjusted from this treatment date. Please also note that any additional treatments do not affect your seasonal fee. 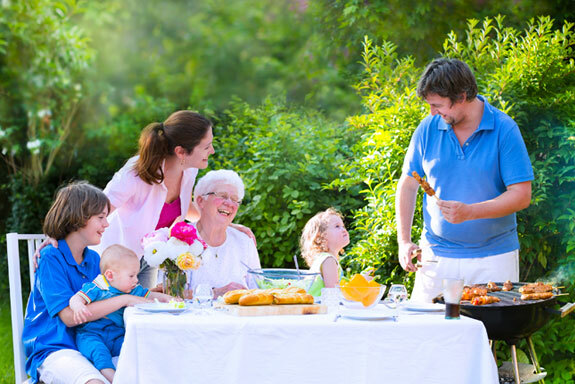 Enjoy a bite-free yard all summer without getting eaten alive by mosquitoes! To learn more about our Mosquito Free Service, watch our video. Why choose Cooper? Watch our video to learn more. Why Choose Cooper for your bite-free yard? This service is highly effective against the Asian Tiger Mosquito during daytime hours. The science and research behind our program allow us to offer a guaranteed bite-free yard while other most other companies do not offer this guarantee for the entire season. Annoying bites, the threat of disease transmission, and enjoying your property are three important reasons to hire Cooper. If bites are occurring in your yard, just let us know and a service will be rendered within one business day of notifying Cooper (provided wind speeds are less than 10 mph, and it is not raining). Our effective treatment is environmentally conscious. We will monitor the service throughout the season and make adjustments with treatment techniques in real time, not at the end of the season. Having a Family reunion? Picnic? Graduation party? Or any other outdoor activity at your home this summer? Our Mosquito Event Treatment is a one-time mosquito control solution. This is a short-term treatment that is delivered in time for your event, so your guests can enjoy themselves. At Cooper, we understand that your guests would much rather create wonderful memories instead of being annoyed by mosquitoes the whole time. Want more information about Mosquitoes? Click here for more facts. "Cooper's mosquito service is fantastic. With all the bad weather we've had this summer, we have yet to get bit by one. We spend a lot of time outside on our deck or in our gazebo and it's a pleasure to not have to worry about getting bit."